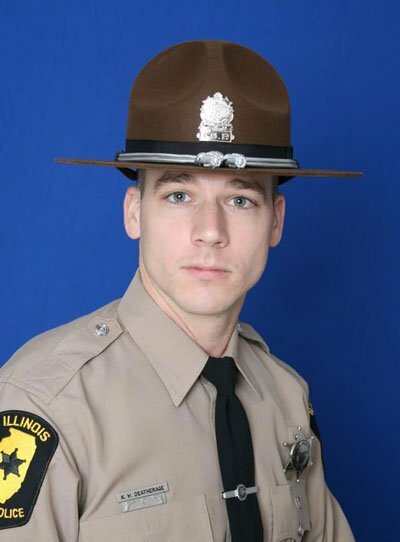 Trooper Kyle Deatherage was struck and killed by a tractor trailer while making a traffic stop on I-55, at mile marker 62, near Litchfield. He had parked his motorcycle on the shoulder and was speaking with the driver of the vehicle when the collision occurred. 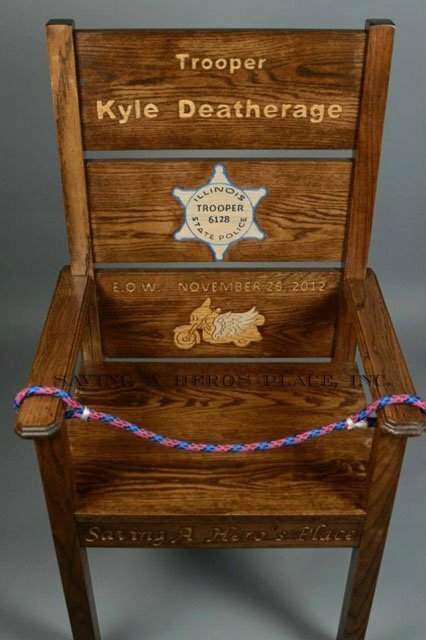 Trooper Deatherage had served with the Illinois State Police for three years. He is survived by his wife, 4-year-old daughter, 10-month-old son, father, mother, sister, and two brothers.